I Love Arnside & Silverdale: Grasmere - Wordsworth and a bargain cup of tea! 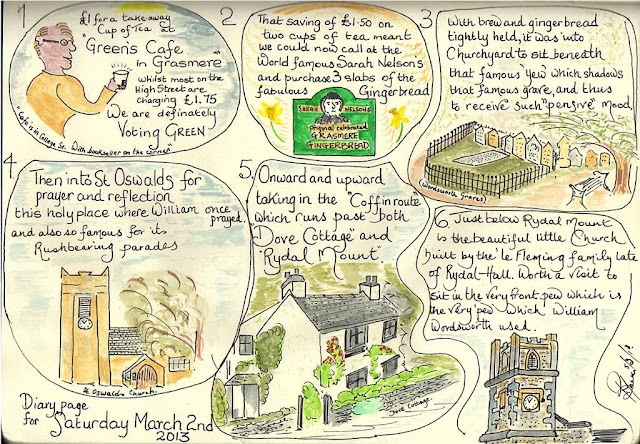 Grasmere Diary Sketch for Saturday last 2nd March 2013. A very enjoyable day which started with a "Grasmere" bargain cup of tea!